The Barong Tagalog or Barong is a traditional formal men’s wear in the Philippines often worn on special occasions such as weddings. It is an embroidered and transparent upper garment usually made from fruit or plant fibers such pina and abaca. Men wear white shirts underneath the Barong, paired with black trousers. One important and interesting fact about the Barong is that it is never tucked underneath the waistband. The Spaniards wanted to differentiate themselves from the natives so they commanded the Filipinos to wear the plain and colourless Barong. They also forbid the Filipinos to tuck it underneath the waistband the way the Spaniards wore their uniforms. They also demanded the Barongs to be transparent and have no pockets so that the Filipinos will not be able to hide weapons and steal things. However, when the middle class Filipinos or Illustrados started to gain prominence, embroideries and other designs were added to the Barong to demonstrate resistance to Spanish colonization. 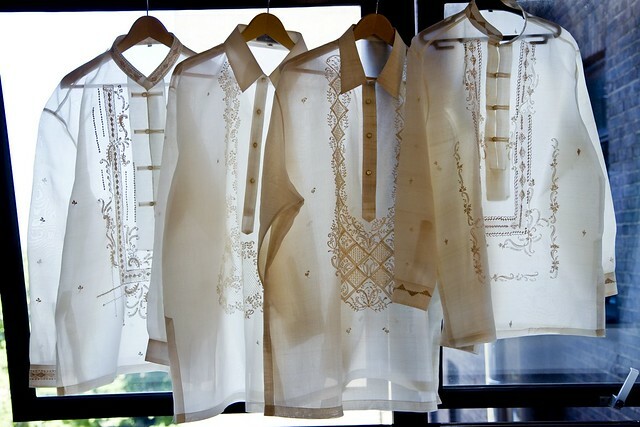 The Barong has since then been worn by prominent people, especially the Philippine presidents, as a way to honor and give respect to what it symbolizes. Another interesting fact about the Barong is that renowned American director Quentin Torentino and actor Jeremy Renner loved wearing it during their recent visit to the Philippines! WOW!